Practice Yahweh’s Righteousness, as taught at Yahweh’s House, where He, (Yahweh) chooses to place His Name. 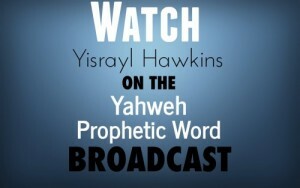 The greatest gathering of the members of The House of Yahweh is taking place now. Although Yahweh allowed six prophesied Works to be destroyed in order to show what sin brings when practiced, His Seventh Work will not be destroyed. It is a Scriptural fact that this last prophesied Work is the one prophesied to resurrect all of those who died, learning what sin brings when it is practiced, but never saw Yahweh’s Salvation.